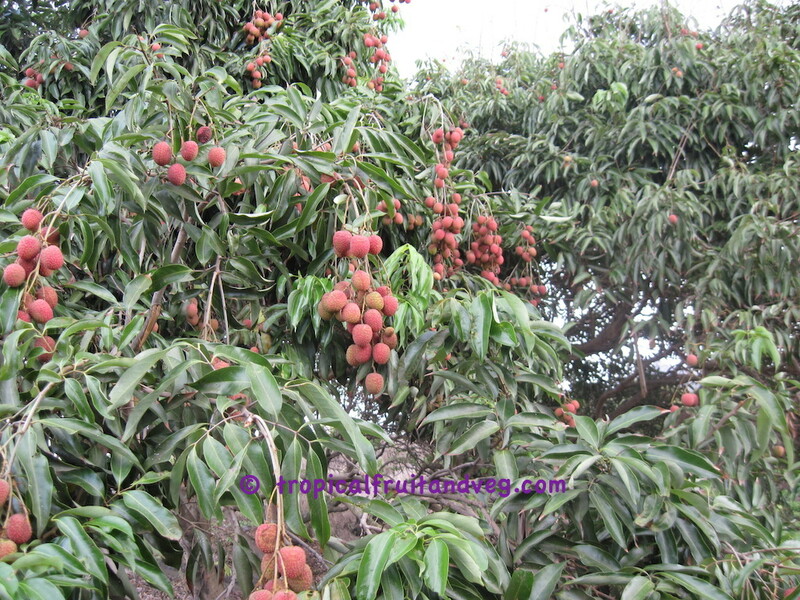 The lychee tree is dense, round-topped and slow-growing with smooth, grey, brittle trunk and limbs. Under ideal conditions they may reach 40 feet high, but they are usually much smaller The tree in full fruit is a stunning sight. The leathery, pinnate leaves are divided into four to eight leaflets. They are reddish when young, becoming shiny and bright green. 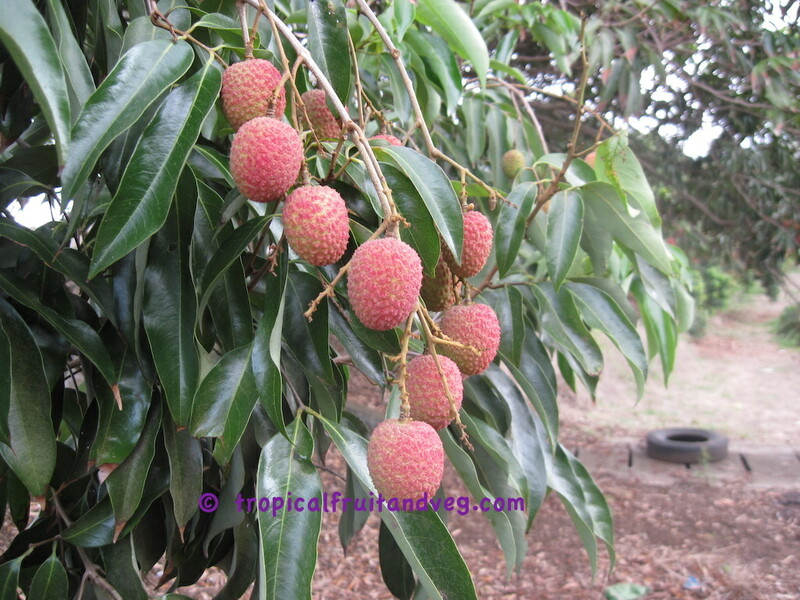 Lychee trees have full foliage and branch to the ground. 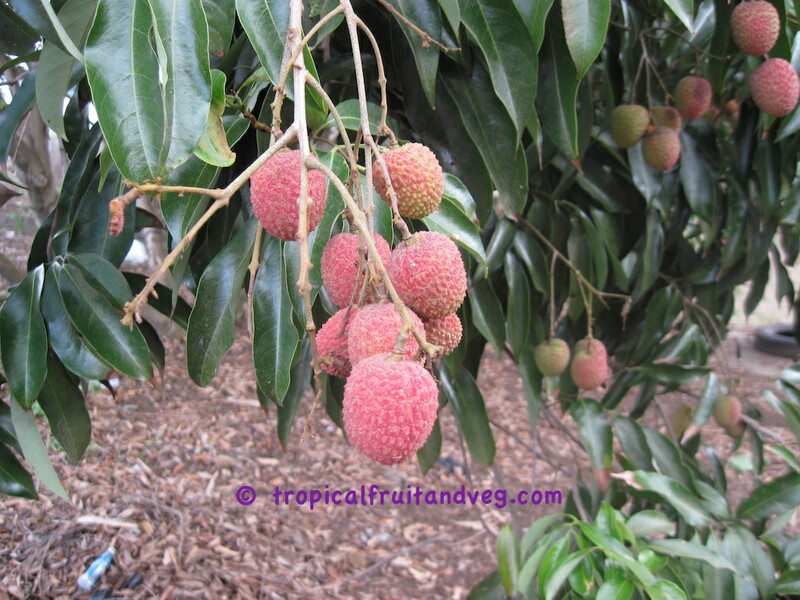 Lychees are most relished fresh, out-of-hand. Peeled and pitted, they are commonly added to fruit salads. Pureed lychees are added to ice cream mix. Peeled, seeded lychees are canned in sugar sirup in India and China and have been exported from China for many years. Ingested in moderate amounts, the lychee is said to relieve coughing and to have a beneficial effect on gastralgia, tumors and enlargements of the glands. Lychees are sub-tropical thrives best on the lower plains where the summer months are hot and wet and the winter months are dry and cool. Heavy frosts will kill young trees but mature trees can withstand light frosts. Cold tolerance of the lychee is intermediate between that of the sweet orange on one hand and mango and avocado on the other. The lychee grows well on a wide range of soils. In China it is cultivated in sandy or clayey loam, 'river mud', moist sandy clay, and even heavy clay. The pH should be between 6 and 7. 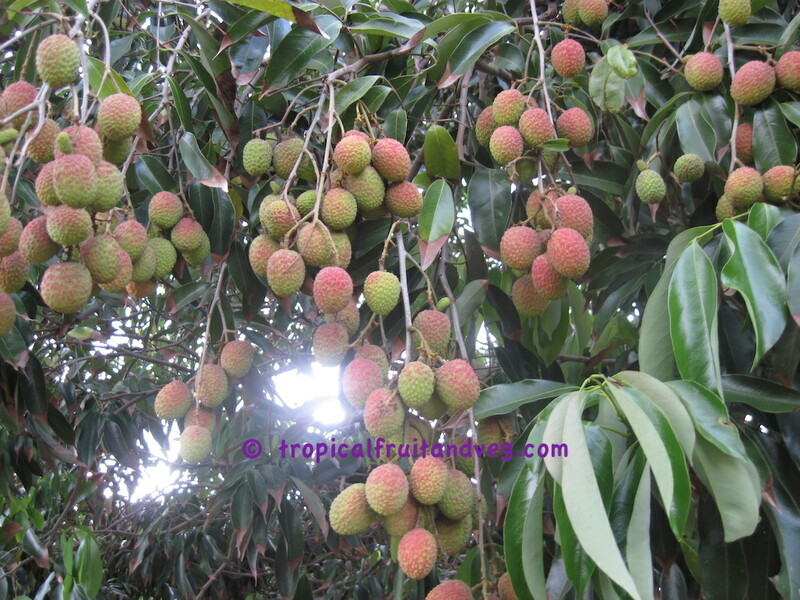 The lychee attains maximum growth and productivity on deep alluvial loam. Lychees do not reproduce faithfully from seed. Furthermore, lychee seeds remain viable only 4 to 5 days, and seedling trees will not bear until they are 5 to 12, or even 25, years old. 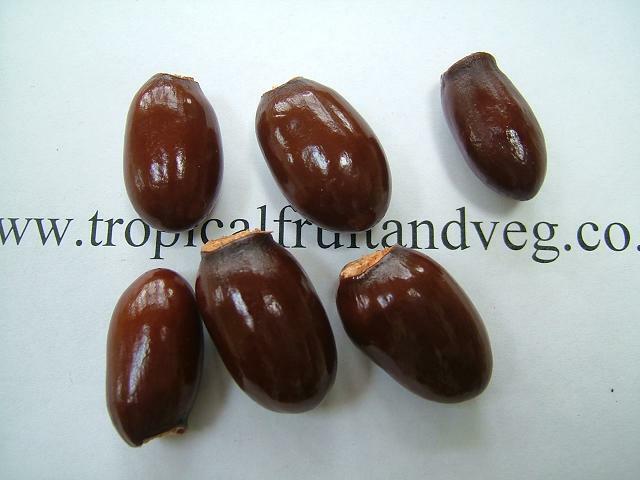 For these reasons, seeds are planted mostly for selection and breeding purposes or for rootstock. Air-layering is the most common method of propagation.